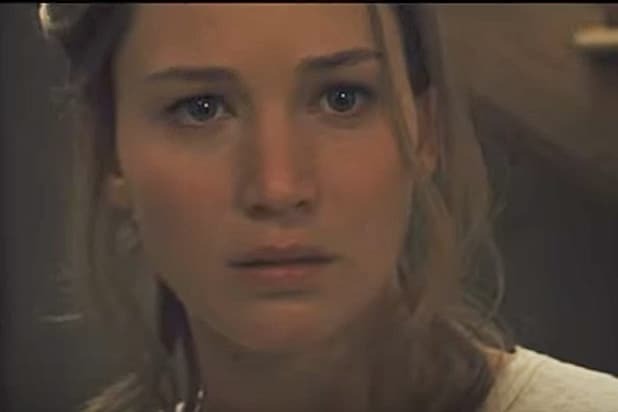 Paramount Pictures has made a rare public defense of its polarizing sensation “mother!” — a horror-thriller from Darren Aronofsky starring Jennifer Lawrence. Megan Colligan, Paramount’s President of Worldwide Distribution and Marketing, said her team led by studio boss Jim Gianopulos is proud of the bold work that, despite thoughtful reviews out of TIFF, received an F CinemaScore from movieogers this opening weekend. “This movie is very audacious and brave. You are talking about a director at the top of his game, and an actress at the top her game. They made a movie that was intended to be bold,” Colligan told THR this weekend. The film sees Lawrence and Javier Bardem as a couple living a secluded existence, increasingly interrupted by strangers until the film boils over into madness. References and symbols packed into the feverish work were deeply analyzed out of the fall film festivals, though the film clearly didn’t resonate with consumers. Early tracking pegged an $11 million opening weekend, but the $30 million project took only $7.5 million from 2,369 screens. It’s the worst wide release opening for lead star Lawrence, and it is now the 12th film since the turn of the century to earn an F CinemaScore from opening night audiences.